Located in a serene setting, Hacienda Encantada is located along the corridor between San Jose Los Cabos and the Cabo San Lucas. Also known as “Millionaires Row” this stretch of highway along the ocean is dotted with high-end resorts and residences away from the party crowds of Cabo. 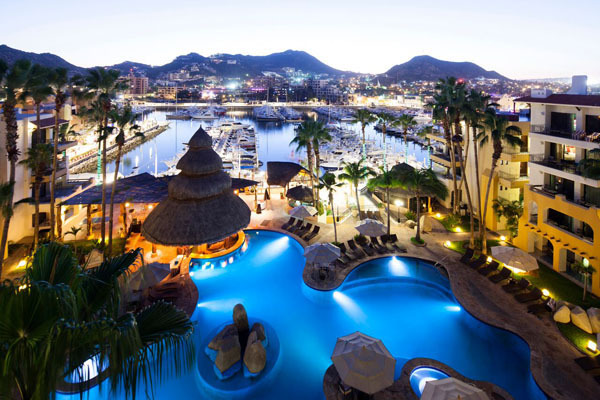 But for those seeking the nightlife and action of Cabo, there is a complementary quick shuttle service to their sister property on the marina which offers fine culinary options and thrilling boating excursions. 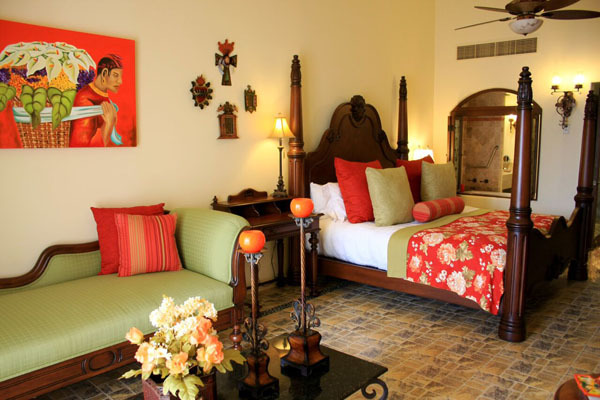 The award-winning resort recognized for its authentic Mexican architecture and hacienda-style suites, welcomed the addition of the ‘El Encanto de la Hacienda’ to the property just last year. This new addition is complete with fifty-two oceanfront studio rooms and twenty multiple bedroom suites along with an adjacent terrace. The luxurious rooms offer their own amenities such as a private infinity pool for Encanto guests with a swim up bar and a beautiful event space that is perfect for weddings. Guests staying in the new studios will also have full access to all amenities at the main resort. 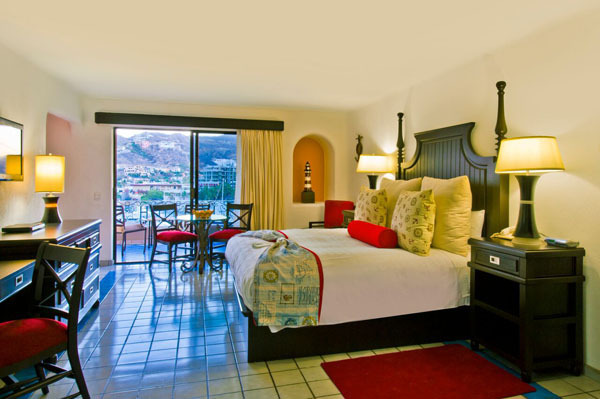 When you stay at the El Encanto de la Hacienda you’ll be eligible to book your room in conjunction with Hacienda Encantada’s Dine-Out Privileges Plan, allowing you to enjoy an a la carte dining experience at a host of fine dining restaurants and bars in the trendy Marina Golden Zone, and at their sister resort located at the Marina, the Marina Fiesta Resort. Dining on property is elevated to art at all their restaurants and tequila bar. Indulge in the freshest seafood, Baja cuisine, and local tequilas while the sound of the waves sets the mood for relaxation. 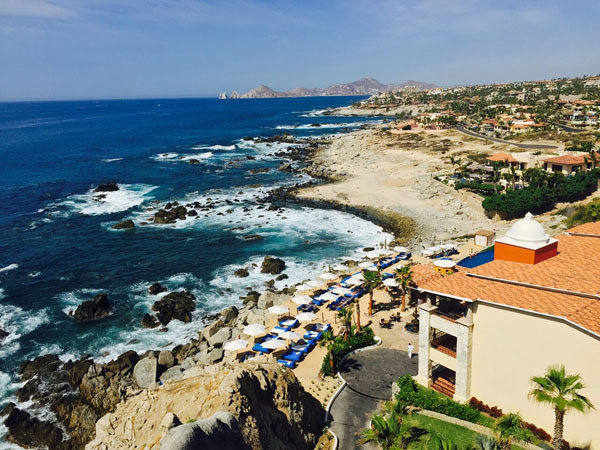 For breakfast, start the day at Las Marias and admire the panoramic views over the rugged Baja cliffs. In the evening, for a romantic supper, head over to Los Riscos where moonlight and dramatic cliffs frame the restaurant. Mexican specialties such as Red Snapper Fillet with risotto or Baja style Enchiladas served with shrimp and scallops are some of the dishes we recommend. Their Italian fusion restaurant, Barolo Cucina Italiana offers Italian fusion dining, with a variety of pasta and meat dishes originating from the northern region of Italy. At their sister property downtown, the Marina Fiesta Resort, enjoy a fun traditional Mexican meal on the waterfront at Los Deseos Mexican Restaurant & Bar. Spend the day lazing about the gorgeous infinity pools overlooking the majestic Sea of Cortez which have been divided into the family friendly activities pool or a quieter adults only pool with a swim up bar. Dine alfresco at the poolside El Patio which features an adjacent sushi bar and serves sea to table ceviche and casual Baja California fare such as crispy coconut shrimp, fish or shrimp tacos or Sea of Cortez specialties. The Spa on site offers an experience that completely caters to the wellbeing of the client. Serenity is easy to find with the best in holistic treatments, soothing colors, and a team of professionals on staff. There are over 20 unique treatments to choose from, as well as a workout facility, steam room, and Jacuzzi. If you have never tried a Temazcal (a round chamber with hot stones splashed with herb-infused water to release healing steam) there is no better place to indulge in this treatment than at the resort’s spa, considered to be the best Temazcal in Los Cabos. Temazcal is an authentic Mexican treatment practiced for centuries in Mexican and Central American cultures. This ritual cleanses the physical and spiritual. Additionally, there are many signature treatments offered here so be sure to check out their full spa service menu. One of our favorites, the Hacienda Encantada Experience is the perfect antidote for a long flight. The treatment begins with their signature massage using a combination of techniques that include hot stone, hot towels, lomi lomi and shiatsu, among others. Then, a wonderful eye treatment designed to reduce the appearance of under-eye puffiness, dark circles, and fine lines is applied. It’s a must-try while staying at the resort.